It would topple the flu-treatment money machine. Posted on January 5, 2018 January 10, 2018 Categories Big Pharma, Big Medica & Conventional Medicine, Health, News, VaccinesTags Big Pharma, BMJ, British Medical Journal, Dr. Peter Doshi, Flu, Flu Vaccine, Health, Jon Rappoport, VaccinesLeave a comment on Flu Outbreak Across America – Really? How much do you really know about potential side effects of prescription drugs and vaccines? This video with Dr. Suzanne Humphries will surprise you! You’ll be amazed at how often doctors report adverse reactions to both. This might change how you see vaccines and prescriptions. Posted on July 26, 2017 Categories Big Pharma, Big Medica & Conventional Medicine, News, VaccinesTags Big Pharma, Dr. Suzanne Humphries, Prescription Drugs, Vaccines1 Comment on Does This Make Vaccines and Prescriptions More Dangerous? No doubt if you pointed out the inevitable conclusion to a doctor or a researcher, they would try to worm out of it. They would say, “Well, we’re not talking about fever resulting from vaccines. We’re talking about fever coming from an infection in the pregnant woman.” Really? Why don’t you think the vaccine is producing fever? It’s causing an infection, and the immune system is reacting. Fever is an entirely expected consequence. Note: I’m not saying the creation of fever is the only reason vaccines cause autism and various types of neurological damage. I’m saying here is a new connection. And mainstream medicine and the mainstream press will ignore it completely. 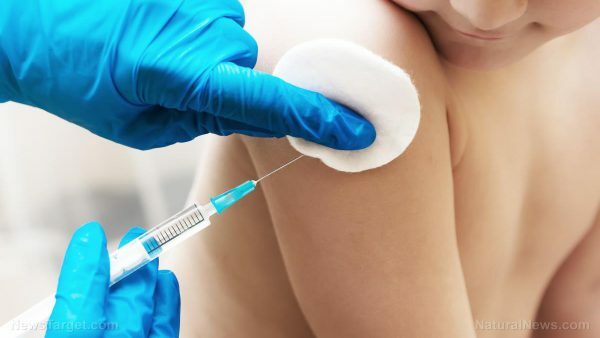 A recent study led by researchers from the School of Public Health at Jackson State University has come to some shocking conclusions about vaccinated children. Perhaps one of the most jaw-dropping finds was that vaccinated children exhibited a 420 percent higher incidence of autism when compared to non-vaccinated children — as well as a staggering increased incidence of neurodevelopmental disorders (NDD) in general. Acclaimed epidemiologist Dr. Anthony Mawson, has authored more than 50 studies and led the astonishing research. In addition to the finding of an overall increased risk of NDD, he and his team also found that there was 420 percent increased risk of both autism and ADHD in vaccinated children. Vaccinated children were also 30 times more likely to have allergic rhinitis and 2.9 times more likely to have eczema than non-vaccinated children. Vaccinated kids also exhibited a staggering 520 percent greater likelihood of having a learning disability. But it’s not just the matter what risks are increased that is so disturbing about this study. Many proponents of vaccine propaganda are prone to disregarding these kinds of risks as being part of the “greater good,” and maintain that any risk posed by vaccination is worth it to prevent disease. But what if vaccines don’t actually decrease the risk of disease — are these risks really worth it then? In the case of chicken pox and pertussis, vaccinated kids did show a statistically significant decrease in the onset of illness compared to unvaccinated children. However, in the case of influenza, mumps, measles, rubella, rotavirus, meningitis, and hepatitis A or B, there was no significant difference in incidence among vaccinated and unvaccinated children. In other words, vaccinated children are generally just as likely to get sick as unvaccinated children. Are the risks really worth it, if vaccines don’t actually offer increased protection? Adverse events reported during post-approval use of Tripedia vaccine include idiopathic thrombocytopenic purpura, SIDS, anaphylactic reaction, cellulitis, autism, convulsion/grand mal convulsion, encephalopathy, hypotonia, neuropathy, somnolence and apnea. Events were included in this list because of the seriousness or frequency of reporting. Because these events are reported voluntarily from a population of uncertain size, it is not always possible to reliably estimate their frequencies or to establish a causal relationship to components of Tripedia vaccine. When even the manufacturer is providing the government with information that shows a vaccine carries the risk of autism, you know it’s got to be pretty risky. America has been under the spell of a vaccine hysteria due to the recent measles outbreak among unvaccinated Somali-Americans in Minnesota. Once again, vaccine skepticism and anti-vaccine activists, such as the “discredited” Dr. Andrew Wakefield, have been blamed for the outbreak that affected 48 people. Not many Americans, however, are aware of the existence of a vaccine fund, known as the National Vaccine Injury Compensation Program (NVICP), that pays out claims to people and families whose loved ones were injured by vaccines. This special fund was a direct result of a law passed in 1986 that gave pharmaceutical companies total legal immunity from being sued for injuries and deaths related to vaccines. With no risk whatsoever for vaccine manufacturers, vaccine production has gone through the roof since the initial passing of the law and the creation of the vaccine injury court. Not entirely surprising, the U.S. government is one of the largest purchasers of these vaccines, spending more than $4 billion in taxpayer dollars each year, reported Vaccine Impact. Has fear driven us completely insane? In the past, some vaccine proponents have suggested parents who decide not to vaccinate their children with toxic substances are criminals and should be sued or even jailed to protect public health. However, what these people are suggesting is that we keep poisoning the brains of our children while Big Pharma is laughing all the way to the bank. And they know they can get away with it since the government has their back. 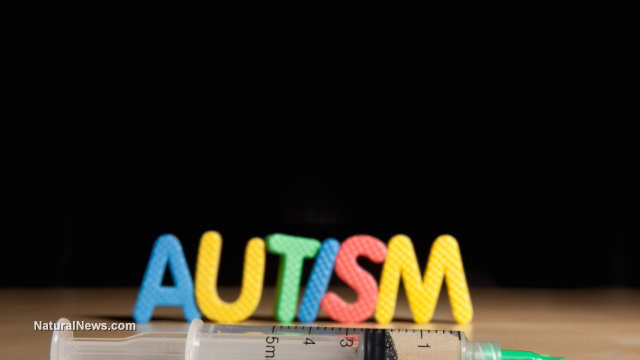 Out of fear, imprinted in our brains through our family doctor, schools, and public campaigns, many Americans keep injecting their children with autism-causing substances. These people want us to believe diseases such as the flu and the measles are relentless killers, stressing once more the importance of vaccines to protect our children’s health. Amidst the heated debate over the question of whether parents should be forced to vaccinate their child, it is often forgotten that most of these diseases aren’t so deadly after all. Between 2004 and 2010, a total of five people died of measles, according to the Centers for Disease Control’s (CDC) own data. Let’s get back to the recent Minnesota measles outbreak for just a second. There are about 5.3 million people living in Minnesota, and only 48 of them got sick. Nobody died. Think of it, is the prevention of 48 cases of people contracting a rather harmless disease in healthy people worth damaging the brains of thousands of children living there? Even though the mainstream media and government keep spreading fear or lecturing people about how the link between brain damage, autism, and vaccines has been debunked, we should know better by now. Vaccines aren’t the world’s miracle invention. On the contrary. A massive cover-up of their health risks has been ongoing for years. As a country with one of the most aggressive vaccination schedules and skyrocketing numbers of autistic children, it is time we stop ignoring the cold, hard facts and put two and two together.